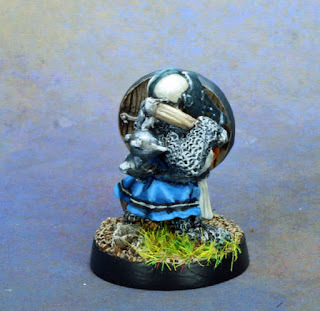 I didn't mean to start another bird themed dwarf, honest. 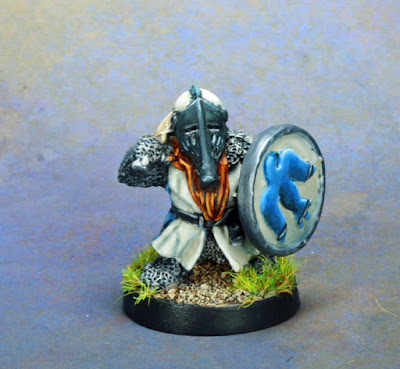 But I've been wanting to get this guy painted for awhile and I was looking at him in hopes of inspiration and his helm is very reminiscent of a bird's beak. Then, I noticed that he was armed with a flail and a sword. Clearly, he's ready for trouble. For those of you not familiar with the North American Blue Jay, they are members of the Corvidae family and are cousins to ravens, magpies, and crows. In addition to be a very pretty bird, folklore often portrays them as trouble makers. 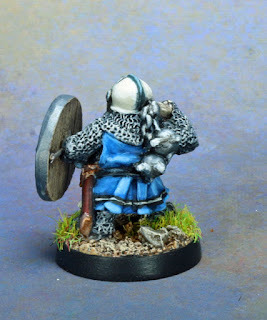 Like a suspect our dwarf here is. 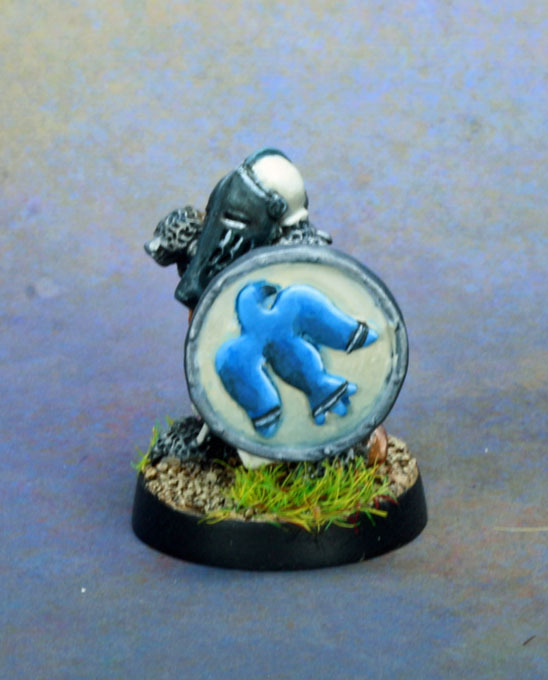 The blue of the back of the cloak was painted with GW Hoeth Blue, and highlighted by mixing in VMC Sky Blue. I added a black and white stripe to the bottom, similar to the ones found on blue jays. Both the white portion of the enameled helm and the white of the front of the tabard were based with VMC deck tan and highlighted by mixing in pure white. I did a little bit of shading by mixing in VMC Dark Prussian Blue and painted thin coats into the deepest recesses. 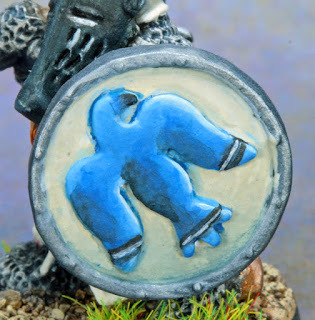 The black front of the helm, to represent the black beak of blue jays, was based in Scale 75 Abyssal Blue, washed with Nuln Oil, and then highlighted by mixing in Scale 75 Speed Metal. The shield is actually a Wargames Foundry Viking Shield, but I painted the raven in the same manner as the blue tabard. So this part may be heretical, but I'm not generally a fan of the Perry dwarfs. But there are some exceptions and this is definitely one of the ones I love. Lovely! Interesting colour scheme and back story. Thanks, I've been trying to work on making each model i paintpaint interesting! Very nice figure. 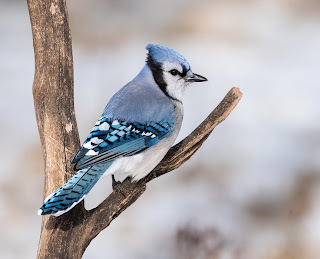 I like the Blue Jay as a reference. You captured it well. Thanks! They're such beautiful birds.